Raise your hand if you love cats. OK, now raise your hand if you love super-cool, creative architecture. Now, imagine both of these awesome things combined into one! If your mind just exploded like mine did, that was the intention of Architects for Animals. Their mission is to help provide shelter for animals in need. Essentially, they create projects where participating architectural and design firms, as well as individual architects and designers, design, build and donate creative outdoor shelters that provide animals with refuge from the elements. And right now, their focus is on everyone’s favorite YouTube animal — the cat. In fact, they just held an auction featuring some of their impressive (yet practical) cat abodes, where all the proceeds went to FixNation — a non-profit organization in Los Angeles that spays and neuters stray cats free of charge. This effort was particularly special because 12 of L.A.’s most impressive architecture firms created their own unique cat houses for the occasion, and the best design was chosen at the end of the night. You have to see them to believe them, but let me preface by saying I would be proud to call any one my own personal domicile. If your cat’s cosmically inclined, he’d probably love hanging on the “Lunar Cat Lander,” which comes complete with Star Wars-style mice! This magnificent structure is aptly named “Cat Chalet.” You know, in case your cat wants to get away to his Malibu mansion for the weekend. Seriously, folks, these are for cats. Here we have “Kitty Curves” — an abode Dali’s cat would’ve particularly fancied. Bet you can’t guess this one’s name… It’s “String Theory” #CaptainObvious. And here we have “catSCAPE,” which features its own fish bowl (which will probably need to be restocked pretty much every day because, you know… ). “Teatro de Gato” — for the cat who has dreams of becoming a star of the stage and screen. Finally the winner (and my personal favorite) CAT BOWL! I know it’s a little meta, but it’s also freaking adorable. 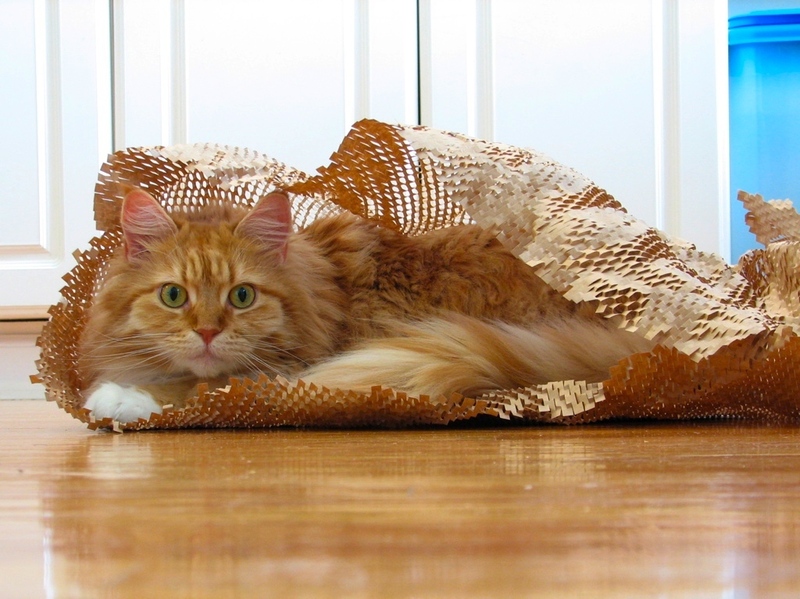 These “shelters” are perhaps the coolest gifts the general cat population has ever received. I, for one, am thrilled for the wayward cats who will get to enjoy them, Meanwhile my cats will continue to appreciate the nicest cat house they’ll ever get — a large Zappos box.